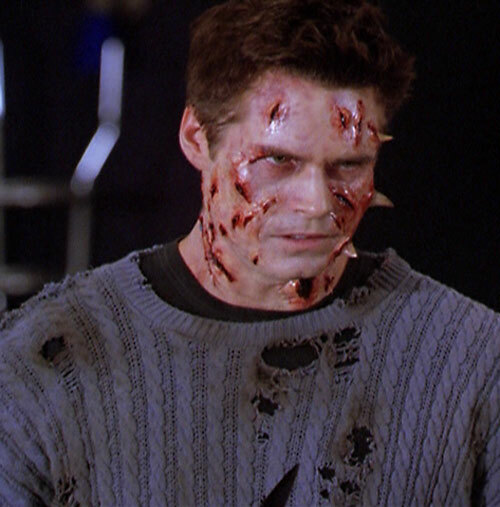 Jeremy Burns is a bad guy and witch hunter who appeared in the Charmed TV show. 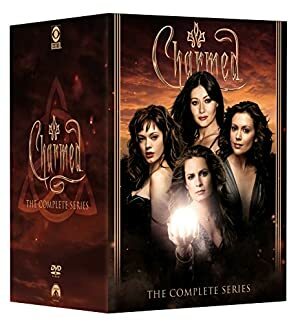 If you know about Charmed read on, if not you’ll want to first read a profile for one of the Charmed Ones for context… say, Piper Halliwell. One interesting thing about Jeremy is that he is a Sylar-like villain, permanently stealing powers from good witches. Jeremy also appeared in the unaired pilot with a few extra powers. These will not be covered in this profile. Height: 6’1” Weight: 220 lbs. Note: Height and Weight are guesses. Didn’t find much in the way of a biography on the web. If anyone knows this info, let me know. Jeremy Burns was a Warlock who lived undercover as a mortal reporter for the San Francisco Chronicle. Being a Warlock means he will hunt good witches in an effort to kill them and steal their powers. 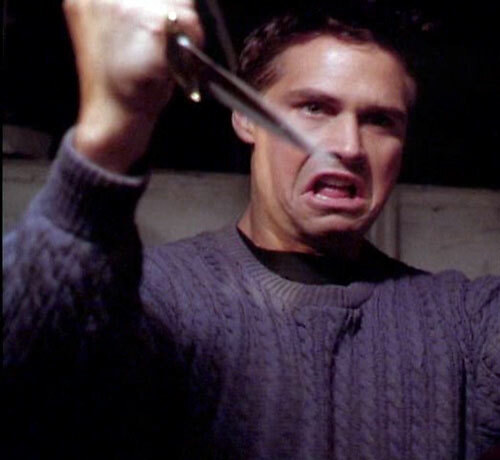 Jeremy achieves this by using a ritual that allows him to absorb their magical abilities through an athame, a double-edged knife used to direct energy. 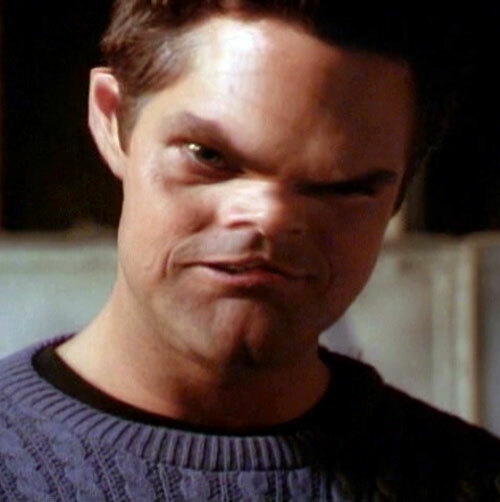 When Jeremy first meets the Charmed Ones he only has a handful of powers stolen from victims. He had limited telekinesis and the ability to project small wind storms. He also could ignite fire from nothing, a power stolen from the Sabbat Serena. His most devastating attack was his powerful mental blast which he uses to splinter the attic door. Jeremy has four known victims and may have had many more. Jeremy may also demonically-distort his face and voice for intimidation purposes. During the six months after Piper’s grandmother’s death, Jeremy brutally murdered four witches, the fourth being Serena Fredrick. He drained their active powers through the use of a power stealing Ritual. Jeremy likes to get to know his victims before murdering them. It’s unclear how he was able to avoid suspicion from the police. Jeremy met Piper Halliwell at the hospital directly after her grandmother was admitted, due to her bad heart. Jeremy was covering a story and Piper was bawling over a bagel. He handed her a napkin with his phone number on it. Over the course of the next six months, their relationship would blossom, even to the point where Jeremy proposed to her. From the moment he met Piper, he guessed she was a witch. He also suspected that once Grams died, Piper and her sisters would learn about their powers. But until then, he kept up the pretense of a loving boyfriend which he was quite good at. He even bought her flowers and a rare port for an interview with Chef Moore. That night, after Piper got the job, Jeremy told her he wanted her to see an excellent view of the city from atop an abandoned warehouse. But once they got into the elevator, he mentioned her sister Phoebe being back. Piper realized she had never said Phoebe was back. Jeremy then pulled out the athame he’d used to kill his other victims and attacked her. Piper froze him then knocked him unconscious, escaping back to her home. There, she and her sisters performed their first spell so that Jeremy’s love for Piper would “wither and depart.” It caused rose thorns to erupt from all over his body, but he wasn’t quite defeated and proceeded to attack the manor. Prue held him back with her telekinesis, as they retreated to the attic to barricade the door. But using his own telekinesis, he was able to move the furniture holding it shut and blasted the door to kindling. 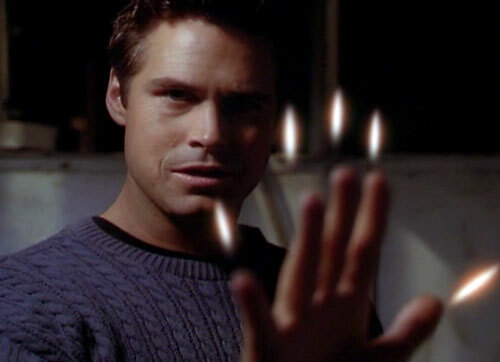 Just as he ignited a circle of fire then wind to kill the Charmed Ones; they chanted “the Power of Three will set us free.” Jeremy exploded! Exactly one year later, the demon Abraxas brought Jeremy back to life by reading the spell in the Book of Shadows backwards. Jeremy attacked Piper at a club – that would soon be P3 – and knocked out her loan agent. Piper froze him and called her sisters for help. Just as they were trying to remember the spell to vanquish him, Jeremy unfroze, and Piper couldn’t keep him frozen. The sisters were able to remember the spell, and together they vanquished him again. 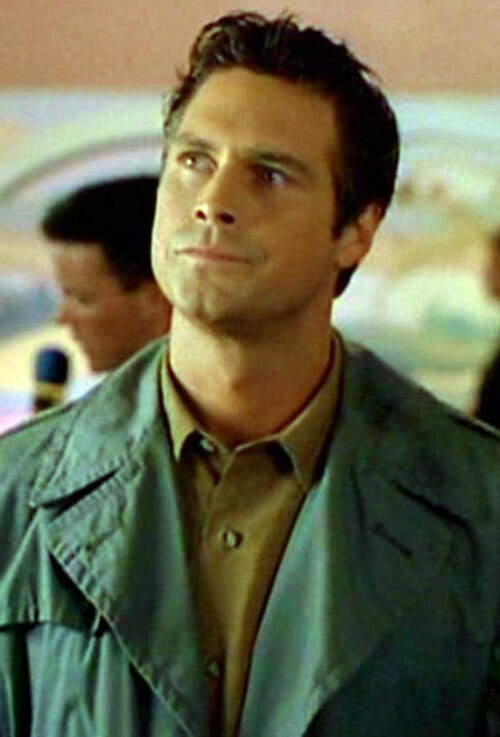 Once, while explaining Piper’s past relationships to the fourth Charmed One Paige, Phoebe corrected her by telling her that Dan Gordon wasn’t Piper’s evil fiancé, Jeremy was. Jeremy Burns is a tall man in his mid 20’s. He has thick brown hair which he always wears slicked back. His very dark eyes add to his mystique. He mostly stuck to semi-professional clothing, due to him being a news broadcaster. 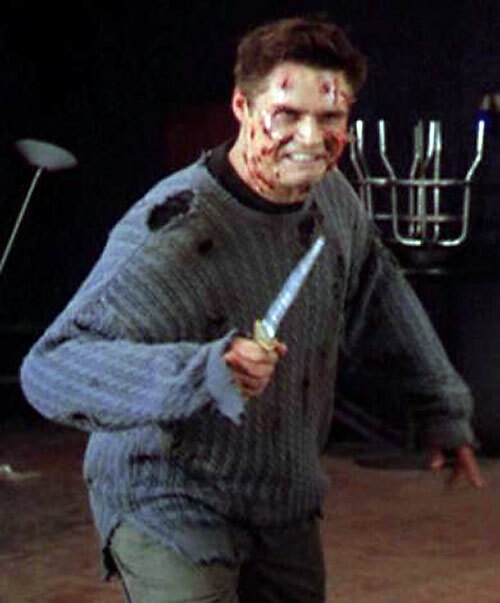 But he had a fondness for sweaters and was even vanquished in one. After Piper and her sisters cast the To lose a love forever spell, thorns grew out of his body. During his short return, he still had the sweater and the thorns sticking out of his body. For at least some of his murders (when he has enough time to prepare well) he has been hooded, dressed in black with heavy boots and black leather gloves. Initially, Jeremy seems to be a kind and caring young man. He is romantic and charismatic when trying to seduce a new witch. However, once he’s sure he has found a real witch Jeremy will try to get them into a vulnerable position so he can murder them and steal their powers. Because of his job as a reporter he can come right back to the scene of the crime and try to find out what the police know. Jeremy does have a strong presence and was able to overcome Piper’s mystic freezing abilities quicker than others. When he came back the second time her abilities hardly worked at all. Flame Project represents a one to two inch flame that projects from Jeremy’s finger tips. It looks much like the flame from a lighter. If focused through an athame Flame Project has Area Effect (+1). Charisma (Intimidation) only functions at 02 APs unless Jeremy distorts his face or voice (Artist: Actor). These 02 APs of Artist (Actor) and Charisma (Intimidation) are considered Powered skills. Credentials (San Francisco Chronicle), Scholar (Ritual Casting: Power-stealing Rituals only). Strange Appearance (Jeremy has the ability to distort his face to aid his intimidation skill.) His voice warps along with his face but at times he will warp his voice alone with no distortion to his face at all. Strange Appearance (only after being cursed by the sisters at the end of “Something Wicca This Way Comes”). Athame [Body 04, EV: 03, cost: 7]. Bonuses and Limitations: Once a power is drained, the caster permanently has access to it (+5). Power Drain may only attack one power owned by victim (-2). Components: A witch must be killed by caster with an Athame. Comments: Power Drain is Limited to attacking one Power or, in the case of Derived Powers, one power-set. That would allow Jeremy to drain all the subsidiary aspects of Prue’s telekinesis (or in Phoebe’s case, to drain Postcognition as well as Precognition), but not their lesser, innately witchy powers, like Speak with Spirits or the Power Reserve of the Power of Three. 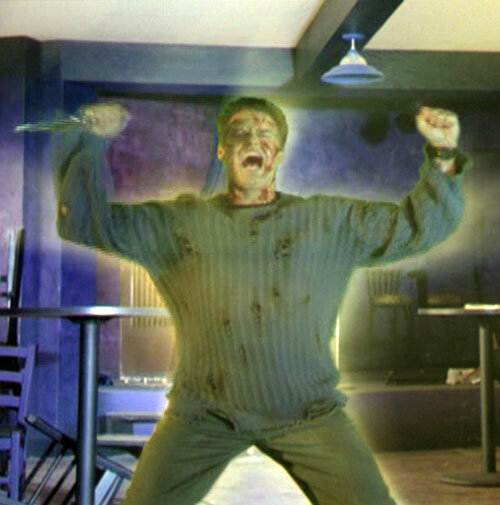 In his confrontation with the Charmed Ones in their attic, the Power of Three must have protected them. All of his attacks had little to no effect on them. Knowing his defeat was imminent, all he seemed to be doing was trying a Force or Bluff maneuver while attempting to intimidate them. By Ethan Roe and Chris Cottingham. 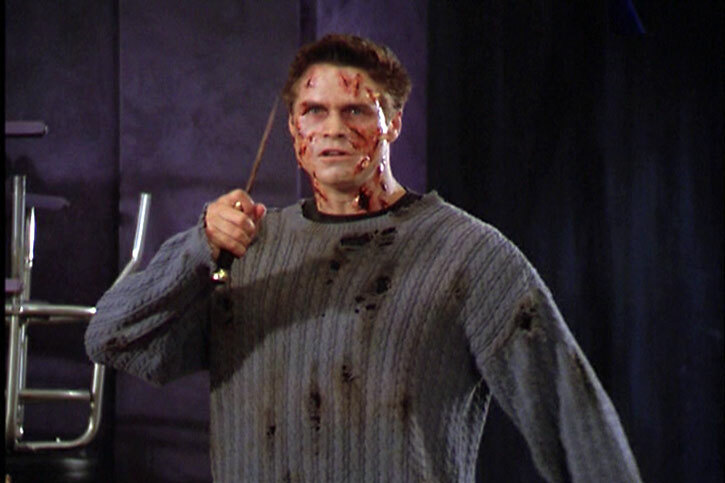 Source of Character: 1998 Season One Charmed TV Series episode Something Wicca this way comes, Season Two Witch Trial, and Season Five Cat House; Character played by Eric Scott Woods. 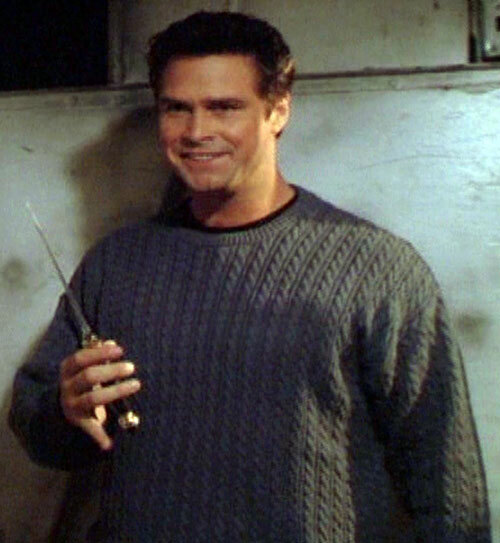 Helper(s): Charmed wikia, Adam Fuqua (Sylar writeup for how to steal powers permanently), Frank G. Murdock. Writeup completed on the 24th of July, 2012.